Yelp! I Need Somebody! Yelp! 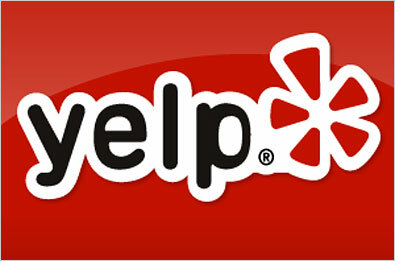 It’s said that Yelp, an online hub of business reviews, attracts more than 66 million reviews a month. Guess it’s not bad that Molly (our social media/community manager daughter) found one bad review for our client Atlas Travel International today. Not a bad ratio, when they also have several great reviews online. The very interesting thing is that Atlas has a culture of individual customer service. It comes from the top down…straight from CEO Elaine Osgood who is never satisfied if a customer has a need, a question, a concern. Her motto has been for 26 years, “All feedback is good feedback.” That is a great way to be in business. So, when Molly reached out to the corporate travel management staff at Atlas this afternoon to see if anyone knew this guy who had yelped, and to learn why he would have been dissatisfied, I watched a flurry of emails that were a testimony to the company’s dedication, integrity and pride. To the staff’s credit, Elaine doesn’t even have to be involved. They are all empowered and motivated to use all internal means to find out who “John” is in California. They want to find out why he isn’t satisfied. They want to make it right. Not because he complained publicly, although what professional business person wouldn’t be bothered by that? They’re even more bothered because they didn’t know that they have a customer who is unhappy enough to complain publicly. The investigation continues. They are looking up records, talking to account managers, sifting through past surveys and making sure all negative comments to the staff have been followed up. They really pride themselves in this. Every Atlas survey (and they receive quite a few back) is read and every negative comment, concern or question is answered. I’m disturbed if John (who is what I will call a “serial Yelper” with more than 20 reviews of everything from the Honda dealer he doesn’t like to the dentist he left) didn’t talk to Atlas Travel directly about his grievance. I understand the frustration of people who communicate their customer service woes to a company and still find no satisfaction (I’ve been there.) However, I have watched and listened to every level of team member at Atlas Travel communicate with customers for more than 25 years. Based on their track record, I can’t believe John could have reached out to Atlas to share his concerns…and that is the real tragedy. The business who doesn’t deliver for you always deserves to know you are unhappy before you go public. I’ve been known to go all the way to the president or CEO of large financial institutions to share my frustrations and it does make a difference. The customer has to take some responsibility to voice their points of pain if service is to improve. I’m wondering when looking at online reviews like those that John posts, if this is the best way to judge a company (and so many people do today…either thumbs up or down.) While in the marketing world we tell clients that sites like Yelp are an extension of word of mouth (your best advertising)…you have to wonder if the serial Yelpers and their counterparts on other sites would say the things they post if actually faced with a hard-working representative of the company trying to address their concerns. I urge every dissatisfied customer to talk to the business in question first and post later. Anonymous public venting should not be our first option as customers, but rather our last resort. Perhaps there would be more happy customers in the world and more positive posts on the Internet if we talked by phone or in person more often. So, I’m hoping the Atlas team can find John and talk to him so I can report back that a personal communication, a team that really cares, has inspired John to amend his Yelp review…he did that this month for the restaurant he slammed…there is hope!